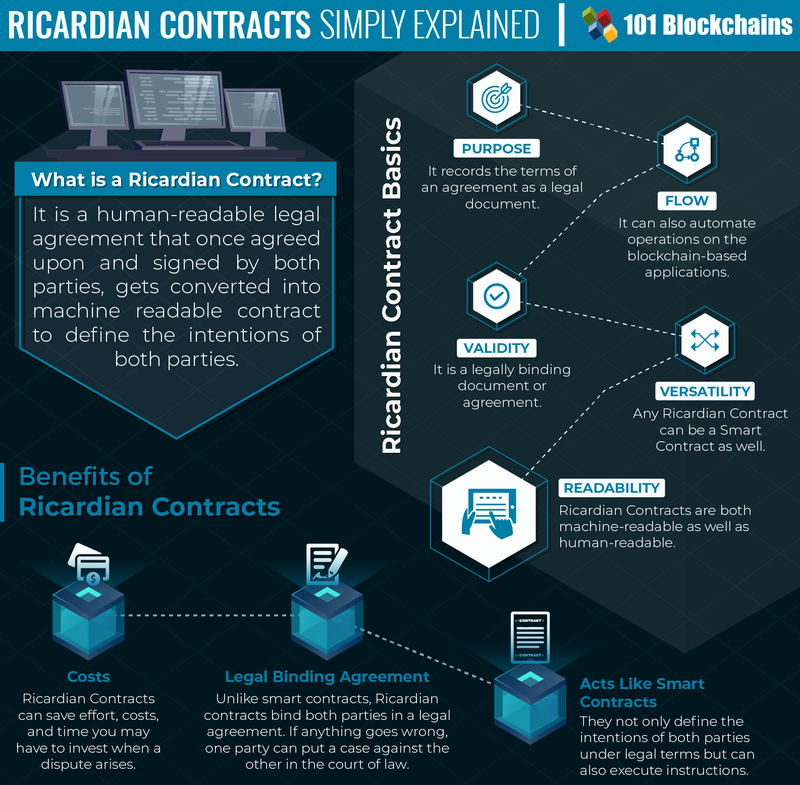 Continuing with business ideas that can be implemented within Bitcoin using the scripting options of BSV, I will detail the concept of a particular form of the Ricardian contract. There are some who believe that such a contract will be the killer application for blockchain, the thing that supersedes current smart contracts. The process defined within this post will drastically simplify the ability of contracting parties to manage and maintain their contracts. 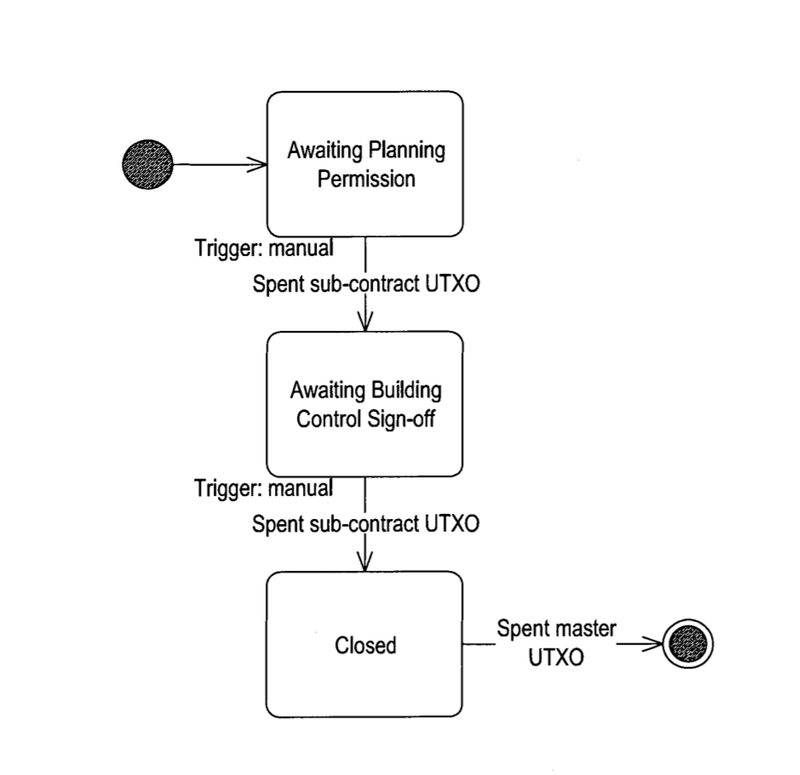 More importantly, the ability to publically specify control conditions and triggers means that it is materially simpler—in the event of a dispute — to agree the state of the contracts. Fortunately, I used to talk to people like Ian Grigg and others in the industry a lot. Ian had a lot of what could become seeds of ideas. I guess you could say he had an imagination that allowed him to see a space elevator but not how to create it. 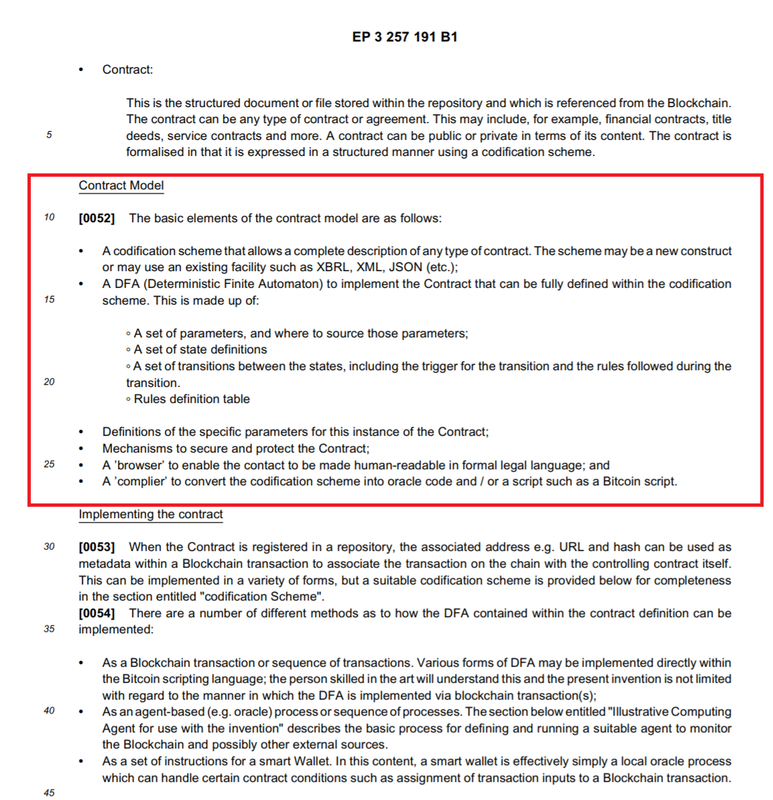 Such contracts were never outside the goals of Bitcoin. Bitcoin is designed to work within law. I’ve been saying it for many years: law is law, and code is mere evidence at best. We have filed numerous patents that lock the concept of legal constructs that are designed to be enforceable as paper and ink although they are created using electronic means. I will take one of them as an example. The priority date for the contract is February 2016. It has been granted in the European Union, and will be separately granted (where it is not already granted) in around 80 countries including the USA. The concept of a legally binding Ricardian contract dates to periods earlier than many suspect. There were issues with the admissibility of transactions involving EDI without a master agreement. The problem was the display of information to the individuals, and there were a number of issues with digital signatures. Such issues date back to the 80s, and many had talked about the creation of a system that would allow the law to recognise such a contract. In part, such a process was what took me to studying law in detail. It is what I studied before my LLM in International Commercial Law, and if you look hard enough, you will find several of my publications on the topic going back to 2006. I am presenting a few papers on the topic. 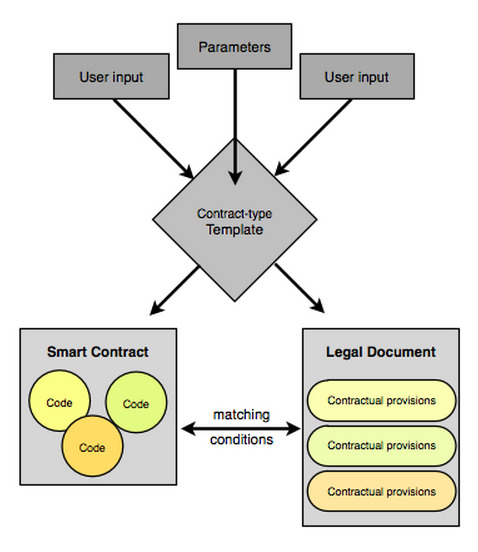 Two of them start the process explaining how smart contracts in Bitcoin may be formed to constitute a legal agreement. There are requirements for the electronic exchange of many forms of a contract that require the equivalent of paper and ink. 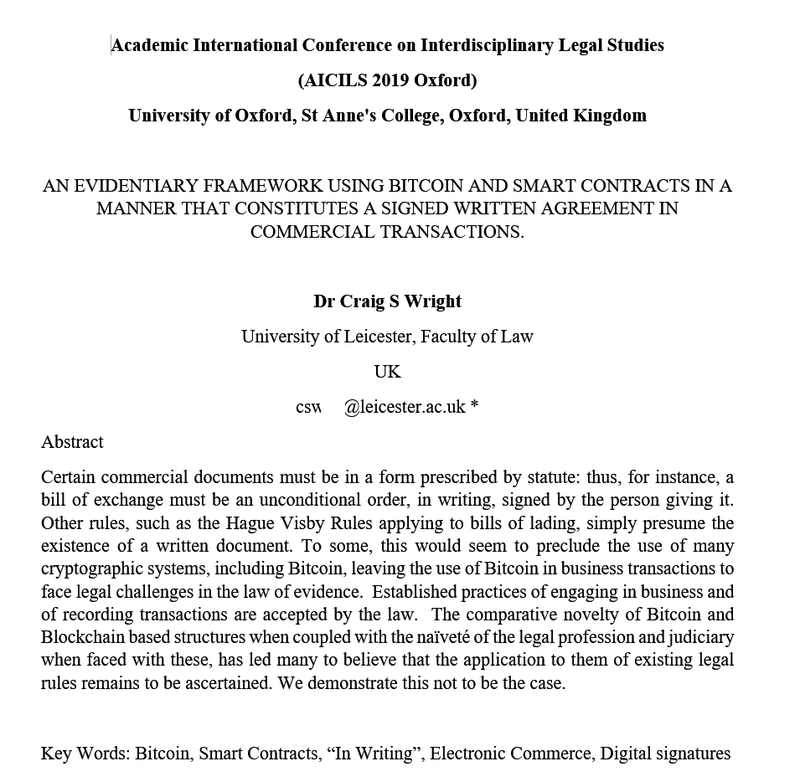 We detail the legal requirements and how they can be achieved in Bitcoin during my presentation at Oxford next month. The failure many people seem to have been understanding in the creation of new intellectual property stems from the fact that it involves more than a mere idea. The idea of electronically exchanged and validated contracts has been discussed in scientific, legal, and science-fiction literature since before Asimov. The issue is not the mere idea that something can be created but the development of a system that works. To get a patent, it is necessary to not have a mere idea but to create a functioning solution. Unfortunately for those who seek salvation in an endless chain of new blockchains such as EOS, my intellectual property predates all of it. The first and most critical point to remember is that you cannot create a legally enforceable contract using illegal means. The flaw in systems such as EOS and block.one right now is that they will need to license intellectual property to be run legally. A failure to hold a valid license invalidates the contract. 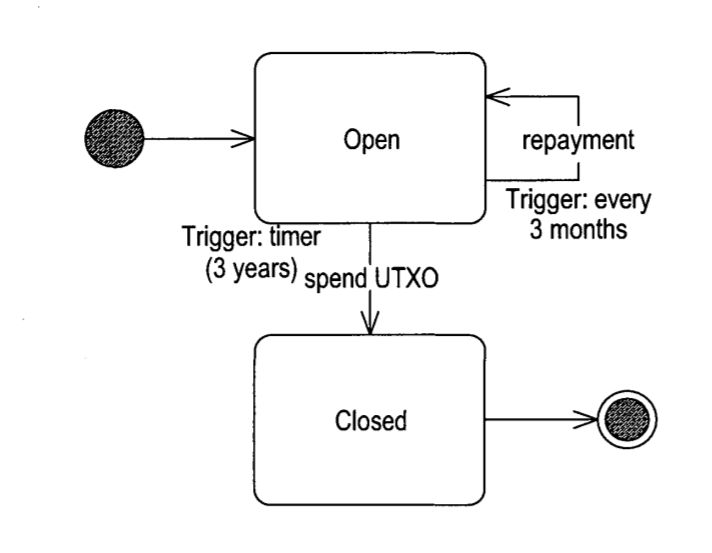 The solution allows us to create an automated accounting system. All tax can be paid and all of the contracts registered. The system can be self-enforcing and self-auditing. As a simple example, imagine an online store selling goods. If the goods are being sold internationally, they can be sold without VAT being charged and any international customs fees can be incorporated. When sold locally, VAT (a goods and services or value-added tax, a consumption tax) can be accounted at the time of the transaction. Using tokenised notes, the organisation could instantly pay any and all tax that it has collected as a part of its trade. Doing so simplifies contracting for small businesses, and stops many forms of fraud within large organisations. More importantly, it allows governments to collect revenue with minimal interference to business. The system can incorporate consumer credit and hire purchase agreements. Bitcoin can be used as the base protocol, as payment, or even just as the protocol and exchange system for any number of foreign currencies. Linked to banks and exchanges, we will see an instantaneous remittance of funds to and from any national currency over a Bitcoin-based system. The system follows the requirements of the Bank Secrecy Act, and can automate the filing of the associated reports. Linked to a common exchange, a smart contract could complete an atomic swap and record the foreign-exchange evaluations. All reporting of gains and losses would be stored within the system allowing for the creation of an automatic report that can be filed with the relevant authorities without even the click of a button. Where foreign currency hasn’t been used, existing currency rate services can be linked allowing the system to instantly remit the value of the exchange and report on any tax required. An organisation can choose to report in any currency — not just bitcoin. The implementation needs to go beyond what many people see as a simple link to signing with the digital signature associated with the Bitcoin address. In what we detail as number 42, a granted patent by nChain, we set up a deterministic system that allows pseudonymous publication that is linked immutably to identities allowing individuals and by extension organisations to sign and execute legally binding contracts. Later in the year, I shall be explaining how the system incorporates all the requirements for ink and paper and allows for the execution of deeds and land titles. At present, no other system comes close to replacing the requirements of paper signatures as they have not taken into account the requirements under law. Our system will allow for the creation of complete end-to-end development contracts that are legally enforceable without resort to paper. It would allow complete payment of subcontractors in the integration of existing project-planning and scheduling software. The reason behind completing the PMP certification over a decade ago and getting to a stage where I was teaching Prince2 was to understand the project-management methodology. Our system allows not only for the integration of the general ledger and accounting functions of a business but the complete integration of business applications including project charts that can be displayed through linked Bitcoin smart contracts. We have a number of methodologies that allow for the creation and testing of forward-payment contracts and ensure that parties cannot alter contracts or even transactional components in the process. The result is that any legally binding contract or deed may be created and executed within Bitcoin. Effectively, in the existing patents, we have captured every possible legal contract. In patents that are still to be granted, we go beyond what people even believe will be possible. It includes the ability to roll a contract and incorporate schemes to allow people to pay what is locked in advance without having to lock an amount of bitcoin or other currency into a script. 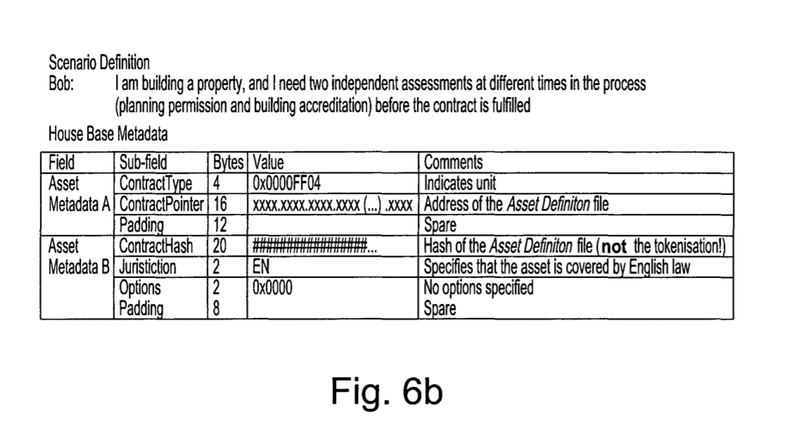 Linked with the codification scheme that has been incorporated here and other patents, we can represent property titles in any registered system. In effect, it captures the requirements for shares in existing equities. When linked to other patents in our portfolio, it allows not only for the creation of existing securities, but it creates a path to financial innovation within many industries. More importantly, all of it can be achieved using existing languages and facilities such as XBRL, XML, JSON (etc.). We also allow for the integration of state. The patent we looked at more closely today has been granted in due time in Japan, and so was the reason for our visit to Tokyo last month. By the end of the year, it should be granted within close to 100 jurisdictions. As a consequence, developers have certainty when building on Bitcoin (BSV). So, what I have presented here is not a simple single solution. 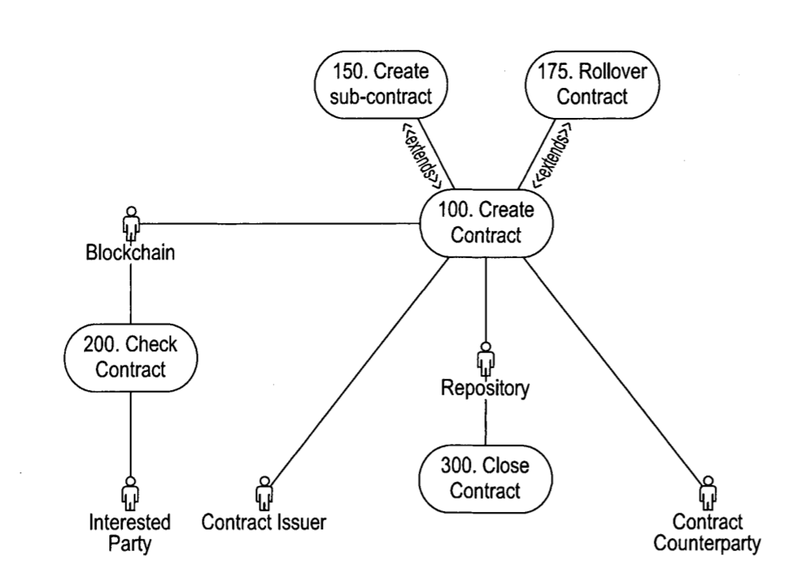 Rather it creates a link to contracts, project-management interfaces, rolling smart contracts, automated accounting, and enforceable digital contracts. Such means are all possible using the technology defined above. A mere idea does not matter, an implementation does.